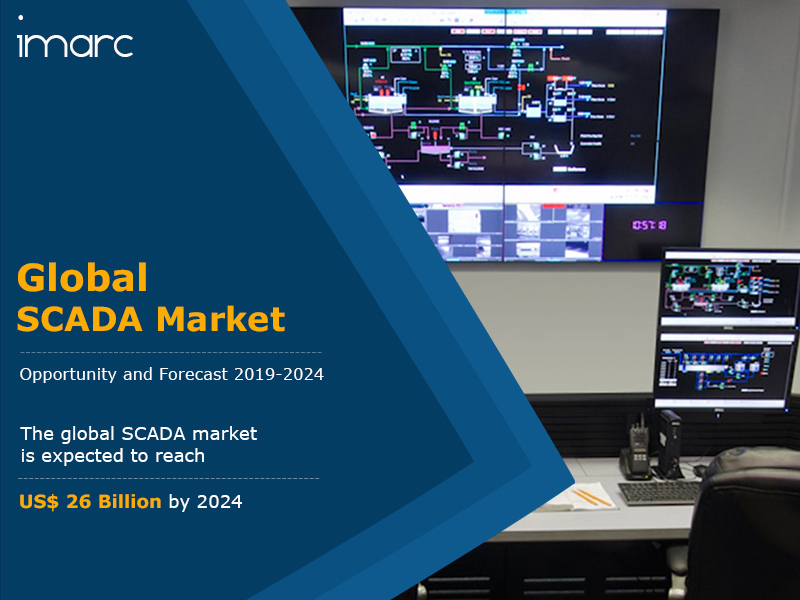 The global SCADA market was worth US$ 18.6 Billion in 2018. SCADA (Supervisory Control and Data Acquisition) is a control framework that uses PCs, graphical UIs and networked data communications for high-level process supervisory management and to obtain real-time information, especially from topographically isolated areas. It is used for enhancing productivity and efficiency across various industries like power, pharmaceutical, oil and gas, chemical and petrochemical, water and wastewater treatment, automotive and electrical, and electronics. The expanding utilization of SCADA in grid automation ventures across different developing nations has encouraged the manufacturers to focus on enhancing their infrastructure with a specific end-goal of power distribution and limiting transmission losses. The popularity of SCADA is rising as it helps to quickly distinguish faults in machineries which makes minimization of defects conceivable. Additionally, the cost-effectiveness of SCADA frameworks is creating high demand for these systems worldwide. Moreover, they can evenly distribute power by re-steering electricity from excess capacity regions to areas with a lack of power supply. This capability of restoring power is another advantage of SCADA, owing to which it is progressively making way into the mainstream market. Another important factor that is boosting the sales of SCADA is its increasing employment in the oil and gas sector as it helps in improving the extraction output, streamlining production and curbing losses. Looking forward, the market value is projected to reach approximately US$ 26 Billion by 2024, exhibiting a CAGR of 5.7% during 2019-2024. Based on the component, the market has been segmented into programmable logic controller, remote terminal units, human machine interface, communication systems and others. Based on the architecture, the market has been segmented into hardware, software and services. Based on the end-user, the market has been segmented into oil and gas, power, water and wastewater, manufacturing, chemicals and petrochemicals, pharmaceutical and others. The oil and gas segment currently accounts for the largest share. Region-wise, the SCADA market has been segmented into Europe, North America, Asia Pacific, Middle East and Africa, and Latin America. The competitive landscape of the market has also been examined with some of the key players being ABB Ltd., Emerson Electric Co., Rockwell Automation, Inc., Schneider Electric SE, Siemens AG, Alstom, General Electric Co., Honeywell International, Inc., Omron Corporation, Yokogawa Electric Corporation, Iconics Inc., Elynx Technologies, LLC, Enbase LLC, Globalogix and Inductive Automation. How has the global SCADA market performed so far and how will it perform in the coming years? 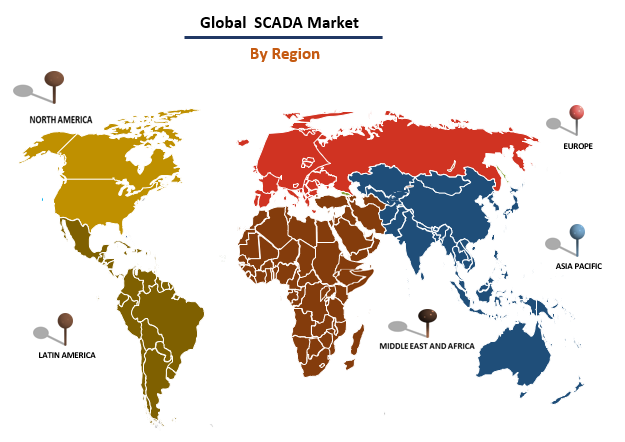 What are the key regional markets in the global SCADA market? What is the breakup of the global SCADA market on the basis of component? What is the breakup of the global SCADA market on the basis of architecture? What is the breakup of the global SCADA market on the basis of end-user? What are the various stages in the value chain of the global SCADA market? What are the key driving factors and challenges in the global SCADA market? What is the structure of the global SCADA market and who are the key players? What is the degree of competition in the global SCADA market?